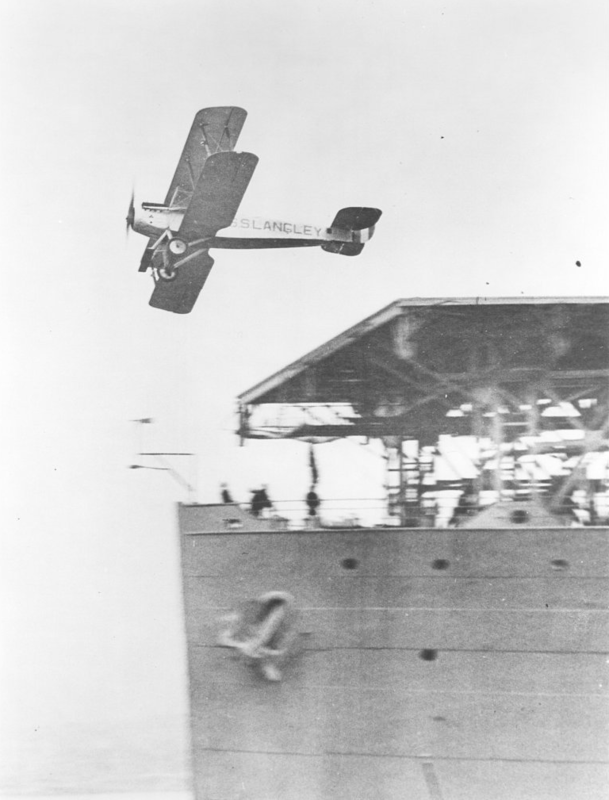 17 October 1922: Lieutenant Commander Virgil Childers (“Squash”) Griffin, Jr., United States Navy, made the first takeoff from an aircraft carrier of the U. S. Navy when he flew a Chance Vought Corporation VE-7 fighter from the deck of USS Langley (CV-1) while the ship was anchored in the York River along the west side of Chesapeake Bay, Maryland. 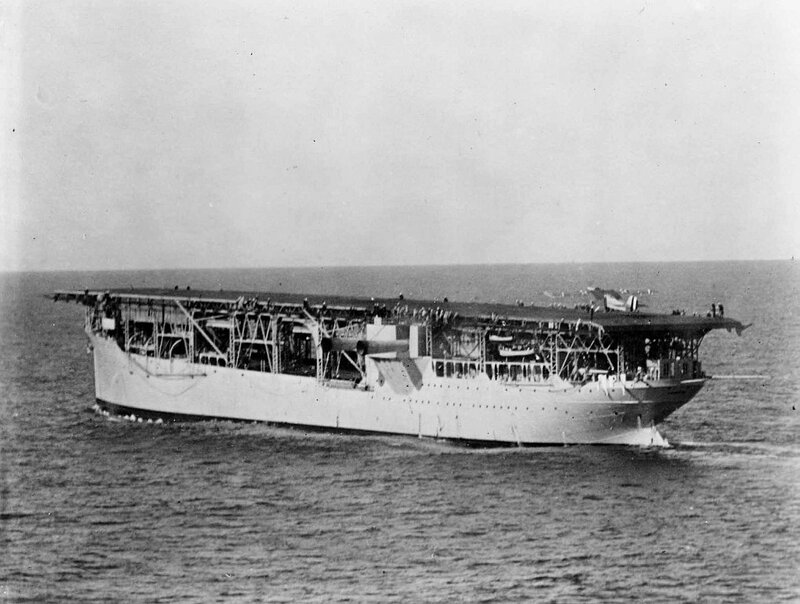 USS Langley was the United States Navy’s first aircraft carrier. The ship was named in honor of an American scientist, Samuel Pierpont Langley. It was a former collier, USS Jupiter (AC-3), which had been converted at the Norfolk Navy Yard, 1921–1922. 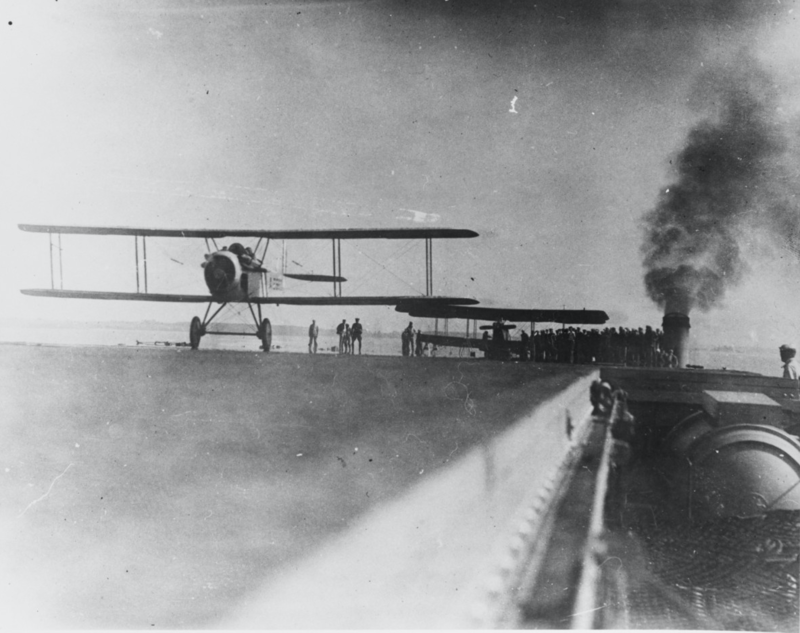 As an aircraft carrier, Langley had a complement of 468 men, including the air wing. The ship was 542 feet, 2.5 inches (165.27 meters) in length, overall, with a beam of 65 feet, 6 inches (19.96 meters) and draft of 22 feet, 1 inch (6.73 meters). The aircraft carrier had a full load displacement of 15,150 long tons (15,393 Metric tons). Langley was powered by a General Electric turbo-electric drive, with a total of 6,500 shaft horsepower. She could make 15.5 knots (17.8 miles per hour; 28.7 kilometers per hour). 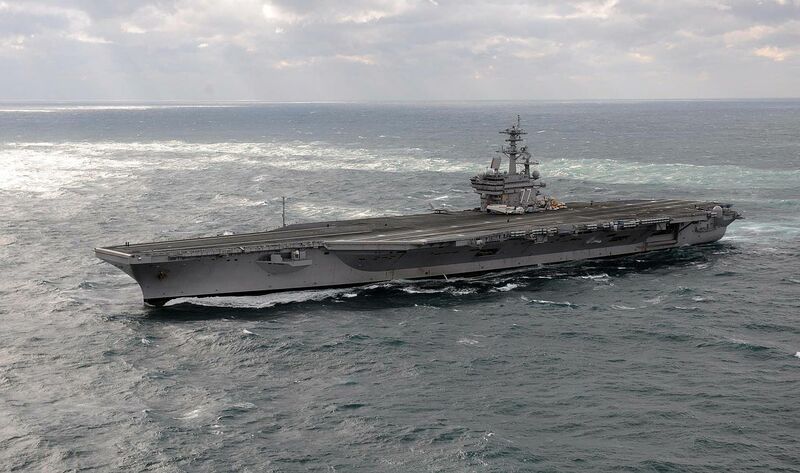 The aircraft carrier had a maximum range of 4,000 miles (6,437 kilometers). In addition to her air group of up to 36 airplanes, Langley was defended by four 5-inch/51-caliber guns (127 mm × 6.477 meters). This gun could fire a 50-pound (22.7 kilogram) shell a distance of 15,850 yards (14, 493 meters) when elevated to 20°. Its maximum rate of fire was 9 rounds per minute. 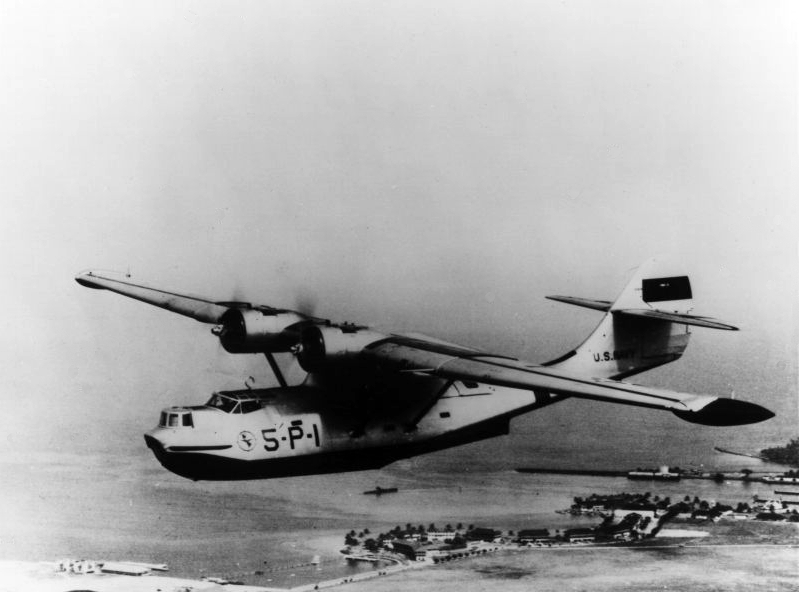 As the more modern aircraft carriers Lexington and Saratoga came in to service, Langley was once again converted, this time to a sea plane tender, and reclassified as AV-3, 21 April 1937. USS Langley was badly damaged by Japanese dive bombers during the Battle of the Java Sea, 27 February 1942, having been struck by five bombs. The ship was scuttled approximately 75 miles south of Tjilatjap, Java, to prevent capture, when her escorting destroyers fired two torpedoes into her. The Chance Vought VE-7 was originally ordered as a two-place trainer, but its performance and handling qualities were so good that it was widely used as a fighter. 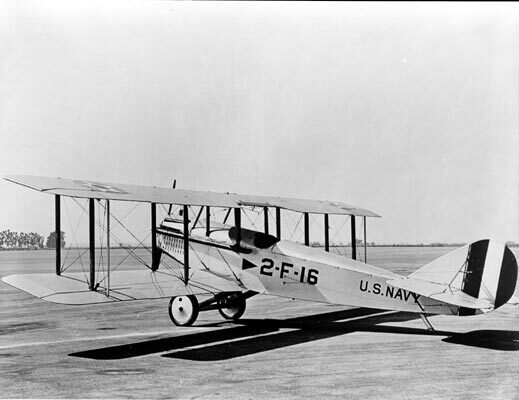 The VE-7SF was a single-place, single-engine biplane built for the U.S. Navy. The VE-7 was powered by a water-cooled, normally-aspirated, 716.69-cubic-inch-displacement (11.744 liters) Wright-Hispano E3 Alert single-overhead-camshaft (SOHC) 60° V-8 engine, rated at 215 horsepower at 2,000 r.p.m. The engine drove a two-bladed fixed-pitch wooden propeller with a diameter of 8’8″ (2.642 meters). The Wright E3 weighed 465 pounds (211 kilograms). The VE-7 had a maximum speed of 106 miles per hour (171 kilometers per hour) and service ceiling of 15,000 feet (4,572 meters). Its maximum range was 290 miles (467 kilometers). The fighter was armed with two Vickers .30-caliber (7.62 mm) machine guns, synchronized to fire forward through the propeller arc. “We were operating just north of the Tongue of the Shoe, seaward of the main channel from Norfolk, Va. A trough about 6 feet long, set up on sawhorses was rigged at the aft end of the flight deck. When the tail skid of the VE-7 used in the test was placed in the trough, she was in the flight attitude. Virgil Childers Griffin, Jr., was born at Montgomery, Alabama, 18 April 1891. He was the first of three children of Virgil Childers Griffin, secretary of the Railroad Commission of Alabama, and Mary Lee Besson Griffin. 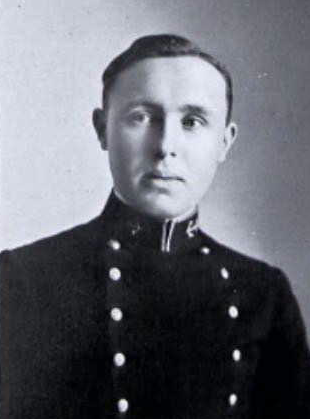 Midshipman Virgil C. Griffin, Jr., U.S.N.A. Griffin was admitted as a midshipman at the United States Naval Academy, Annapolis, Maryland, 25 June 1908, a member of the Class of 1912. Four years later he graduated. Virgil C. Griffin, Jr., was commissioned an ensign, United States Navy, 8 June 1912, with a date of precedence 28 April 1908. On 14 July 1912, Ensign Griffin was assigned to the 16,000 ton battleship, USS South Carolina (BB-26). Griffin was promoted to lieutenant (junior grade), 8 June 1915. He remained aboard South Carolina until June 1916. Lieutenant (j.g.) Griffin applied for flight trainning, and on completion, was designated Naval Aviator # 41. The United States entered World War I in April 1917. On 8 June 1917, Lieutenant (j.g.) Griffin was one of one hundred Naval Aviators who “arrived safely in France for any duty that may present itself. . . They are the first of the American fighting forces to reach France.” On 8 June 1918, Griffin was promoted to lieutenant (permanent rank). He was in command of the U.S. Navy sea plane base at Saint-Trojan, in southwestern France. Griffin was promoted to the rank of lieutenant commander (temporary), 21 September 1918 (Constructive date of precedence 28 February 1907). Lieutenant Commander Griffin returned to the United States in 1919. He was assigned to the Department of the Navy, Washington, D.C., first to the Naval Operations Aviation Divivision, and in 1920, Naval Operations Inspection Division. 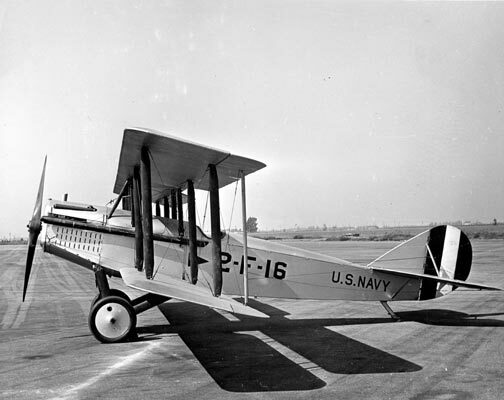 Later in 1920, Griffin was assigned to the Atlantic Fleet Ship Plane Division, Mitchel Field, Mineola, New York. On 8 December 1920, Lieutenant Commander Griffin married 25-year-old Alabama native Miss Elize Whiting Hall, at Mobile, Alabama. 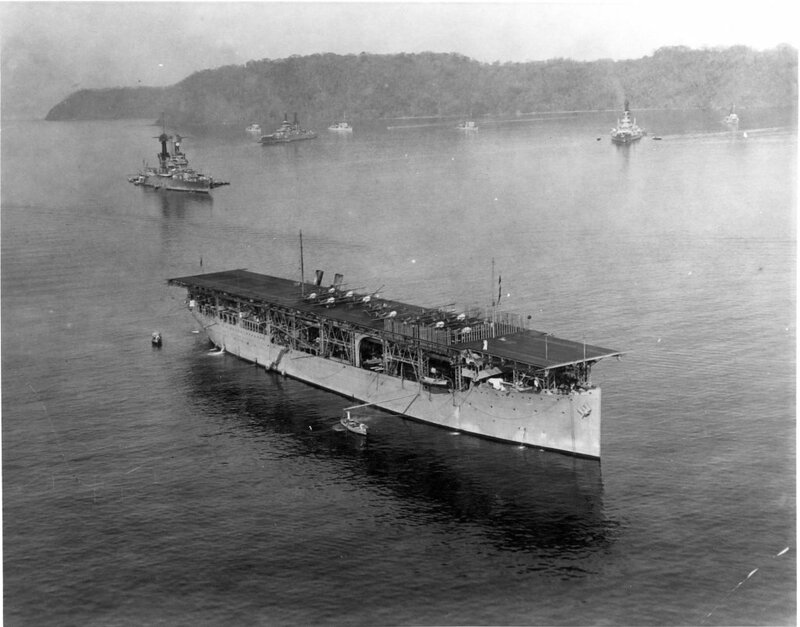 In 1923, Lieutenant Commander Griffin returned to sea duty aboard USS Langley. he was next stationed at NAS Pensacola, Florida, 1924–1925. He served aboard USS Lexington (CV-2), 1926–1927. In 1929, Griffin returned to Langley, before being assigned Scoutig Squadron TWO (VS-2B) aboard USS Saratoga, flying the Vought O2U-2 Corsair. On 29 December 1931, Griffin was promoted to commander. He was stationed at NAS Pearl Harbor, Territory of Hawaii, in 1932. Commander Griffin once again returned to Langley, as the aircraft carrier’s executive officer, 1933–1934. In 1937, Commander Griffin was commanding officer, NAS Anacostia, Washington D.C. He had additional duties in the Navy’s Bureau of Aeronautics. In 1938 and 1939, Commander Griffin was chief of staff and aide to the Commander, Carrier Division TWO (ComCarDiv 2), aboard USS Yorktown. 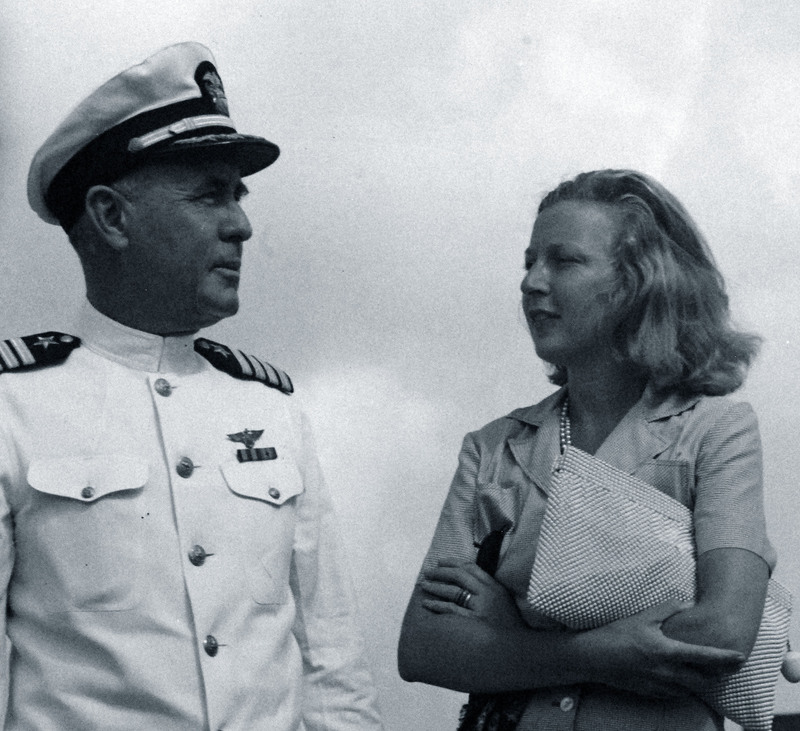 Later in 1939, Commander Griffin was assigned as commanding officer Patrol Wing FIVE. The wing included patrol squadrons VP-51, VP-52, VP-53 VP-54, and the airplane tenders USS Gannet (AVP-8), USS Thrush (AVP-3), USS Owl (AM-2) and USS Patoka (AV-6). Griffin was promoted to the rank captain, 1 November 1939. On 1 May 1940, Captain Griffin was placed in command of NAS Isle Grande, San Juan, Puerto Rico. Captain Virgil Childers Griffin, Jr., retired from the United States Navy, 1 January 1947. He died at San Diego, California, 27 March 1957, at the age of 66 years. He was buried at the Fort Rosecrans National Cemetery. Thank you, Drew. I believe that you are correct. I have added a “qualifier” to my post. It appears that the first landing aboard HMS Argus occurred 1 October 1918. Do you know if takeoffs were made at this time? I am writing for permission to use a photo, #80-G-37982, the Wildcat Fighter, for a book that I am writing on the men who died in WWII from Minnesota’s smallest towns. 2Lt. Donald Rose, a pilot on the Wildcat died on Guadalcanal 9-13-42. A higher resolution version may be available. You might call the Archives Branch—Photographic Section at (202) 433-2765, or e-mail [email protected].